When we’re interested in learning a new skill, the first step is to research and read about it. But the real learning comes when we roll up our sleeves and start doing that thing that we’re interested in. Bev is an accountant, new homesteader, and now blogger that moved her family from the desert suburbs of Phoenix, to rural Ohio. Working for an environmental consulting firm, she’s always been passionate about the environment and sustainable food, and wanted to live a lifestyle that matched her values and just tasted better. 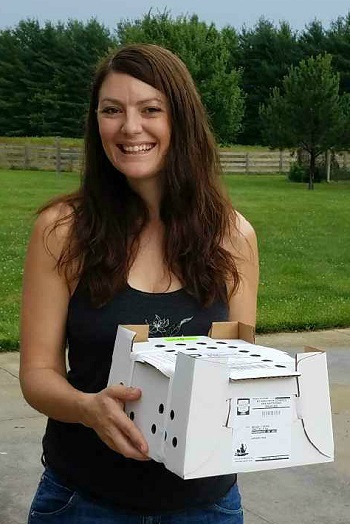 In June of 2017, with only minor convincing (a woodshop promised to the husband, and baby chicks promised to the kids) they settled on 12 acres in a tiny town of less than 900 people. 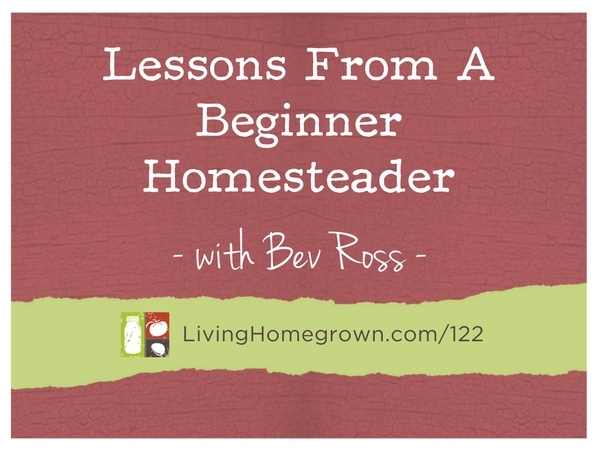 Bev and her husband both continue to work for their respective companies from 1,800 miles away, and she shares their homesteading progress on her blog. When she’s not clearing and planting new garden space, chicken tending, finding edibles to forage for in their woods, cooking, planning the next project, or writing about all of it, she dyes fiber and spins yarn. The proceeds from her blog and small Etsy venture help cover the cost of new farming gear. Follow her on Facebook and Instagram to see what she’s working on now. Hello! I listened to this very inspirational podcast and it made me wonder about land research. I’ve never owned a home and I am looking to buy a property for homesteading in the next few years. Your guest mentioned all of the online research that she did before purchasing a property and I am wondering the best things to focus on for Internet research. We have narrowed down a few states that we are interested in. Any advice on the best things to be looking for, property taxes, land use rights etc, would be extremely helpful. What else do you look at when buying a property? There are so many variables. Thanks for your time and information! Beverly, I absolutely loved this episode! You are about as close to what I wish I had done and still wish I could do. I have to compliment you though on something that struck me. You said that you wanted to be the best you could at taking care of your homestead, but not get so overwhelmed that you couldn’t be a wonderful mom and wife to your husband. Very rarely do I hear anyone speak out loud about being as wonderful a wife as you can be. Kudos’s to you and your family. Good luck on this lovely life you are building.